Now is the time to intensify you training, you cannot wait until the week before the meet to tune up your strokes, starts and turns. You should be focusing on better turns in every workout, every set. You know that your coaches have been preaching over and over again for you to streamline every turn…You have to make it happen! Power off your turns keeps you in the race. Power off your turns keeps the flow of your speed into the next lap. 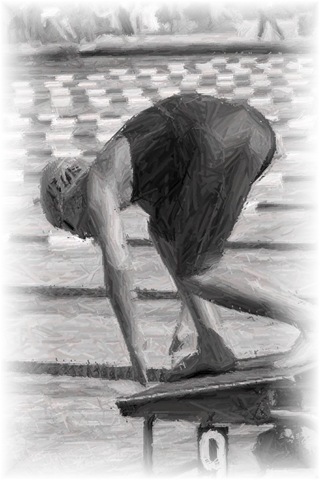 Keeping your head down and not breathing into your turns sets you up for a good streamline position off the wall. These are the things I know I have told you as well as your present coach has..DON’T BREATHE INTO OR OUT OF YOUR TURNS. It’s a matter of practice, it’s a matter of forming a habit. Pick on one part of the turn each day of practice and FOCUS! it’s all up to you and your attitude towards practice, set your goals and practice for it, by being intense. Don’t give in to the boredom, don’t give in to the person in your lane who doesn’t care about where they are headed. Don’t give in to your body saying “I am tired”…It is when you are tired that you should be more focused. Set your calendar for July 24 thru July 27 at Plantation Pool. If you have any questions or concerns about your stroke or starts or turns please post them on the BLOG and I will do my best to address them.